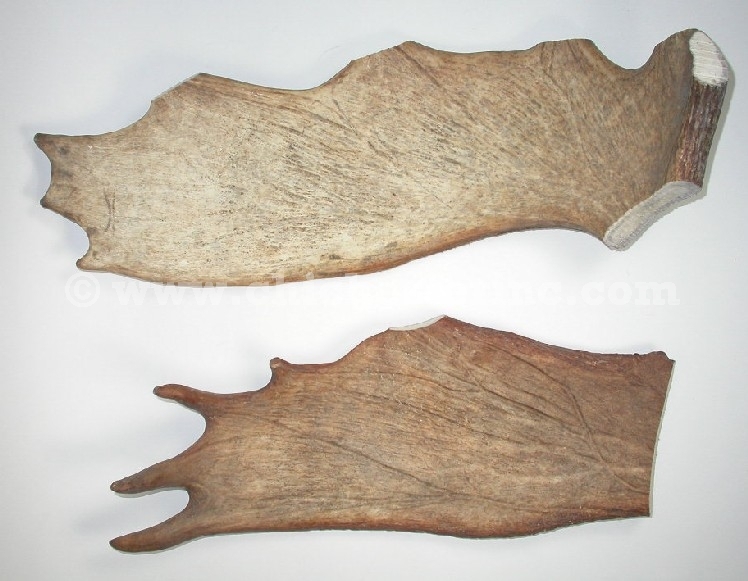 We stock a limited number of moose antler palms that are ideal for craft projects. 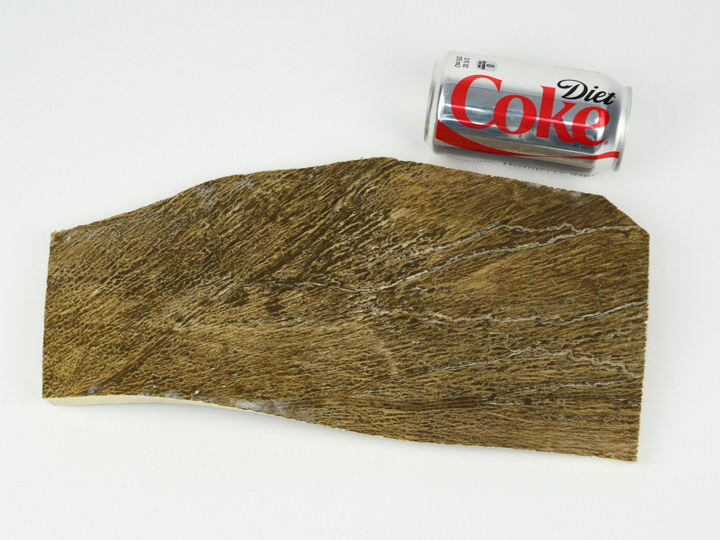 Imagine a piece of moose antler with the shank and tips or fingers removed. This is what we have. The palms are solid antler, ideal for making knife cases, buttons, whistles, or other craft items. Sizes vary, so we sell this by the pound. Most pieces weigh between two to five pounds. 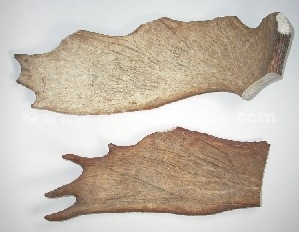 We also stock moose antler palm pieces of varying sizes. These are sold by the pound. 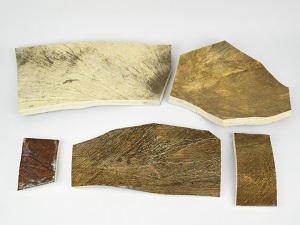 Most weigh between one to four pounds, and they usually range from 2" to 25" long by 2" to 10" wide by 0.5" to 1" thick. Moose are not an endangered species and are not subject to CITES.